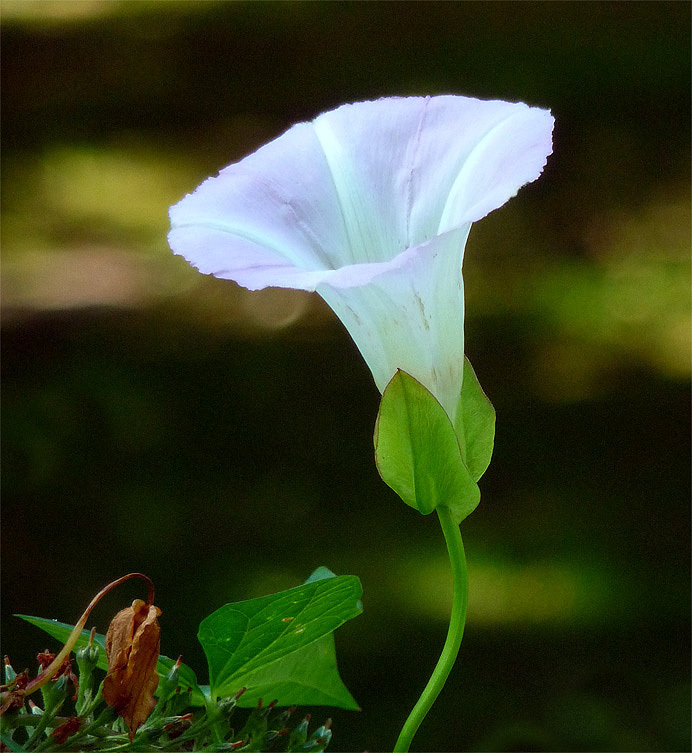 In a shaded rock garden on King Street, a bindweed blossom (Convolvulus arevensis) displays its subtle blues and lavenders for passing moths and butterflies. A member of the Morning Glory family, bindweed inflicts up to $1 billion damage on U.S. farms each year by tangling in harvest machinery and forming dense mats that crowd out crops such as wheat, beans, and potatoes. Its taproot has been measured as long as 22 feet. Root fragments, from which the plant propagates, can survive winters as cold as 76 below zero. .